BG Products, Inc., is determined to educate automotive service professionals about the importance of vehicle maintenance and the incredible value of BG Automotive Maintenance Services. This goal led to the founding of BG University (BGU) in 1999. Teaching people to teach people about value. Here’s how it’s done: BGU trainers train BG professionals so they can train service professionals in automotive shops and dealerships. Then, service advisors can educate consumers. Since October 1999, thousands of students have attended BG University courses. A variety of BG professionals and dealership and independent garage professionals participate in the courses. 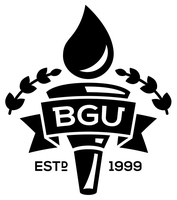 The BGU campus is located at BG headquarters in Wichita, Kansas but classes are held all over the world. BGU offers professionals a unique first-hand experience with automotive technology and an insight into the thinking behind BG products. BGU courses are practical and to the point, ranging from basic chemistry to the complexities of the latest advances in engine design. Each course is designed to teach a consistent, credible message. Each addresses real-world, automotive drivability problems with BG’s proven solutions. BG Certified page to learn more.